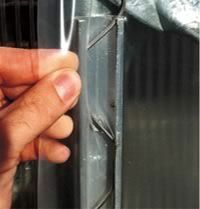 Wiggle WireUsed on thousands of greenhouses, Wiggle Wire has proven to be a low-cost, effective way to attach polyethylene or shade material to greenhouses. The aluminum base is easy to install and bends readily over any hoop configuration. Multiple layers of plastic and shade cloth can be installed and moved without disturbing the plastic. Greenhouse Premium Repair Tape Strong, conformable, transparent polyethylene film tape has excellent resistance to moisture, acids, chemicals,greenhouse preminm repai tape alkalis, oils, abrasion, and weathering. Primarily used for splicing polyethylene film. Also ideal as a weather seal for applying plastic storm windows, door jams, and window casings in low temperature environments. 6 mil, high-sheer, UV-resistant acrylic adhesive with excellent holding properties and cold stick. Vent Tape This vent tape is a 4mil non-woven synthetic fabric with an acrylic adhesive. Unique porous backing has a high air/gas permeability, good burst strength and solids barrier for minimal voids. It contains a fungicide for use in areas of high humidity. Applications include appliance insulation and vapor barrier protection. Fabric Clip - Fastening shade, greenhouse film, and curtain is a snap with our Labor Saver Fabric Clip. No need to use tape or screws. Won't tear or pierce your valuable fabric. 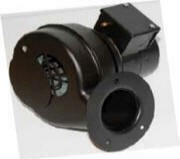 Shaded Pole Blowers are designed to be used in double sided poly greenhouses. Both models have adjustable damper doors to adjust air flow as poly expands in heat or as small holes develop. Motors have thermal overload protection and carry a one year warranty. Corresponding brackets allow the blowers to be mounted to a support post or tube.